New homebuyers need to find that perfect blend of style, convenience and affordability - and that’s exactly what you get when you choose to live in Origins at Cranston. StreetSide Developments is currently selling the last few two bedroom condos in this community, so now’s the time to come check out Origins. Origins is in the community of Cranston, located in southeast Calgary. One of the best parts of living in this location is having easy access to the rest of the city. 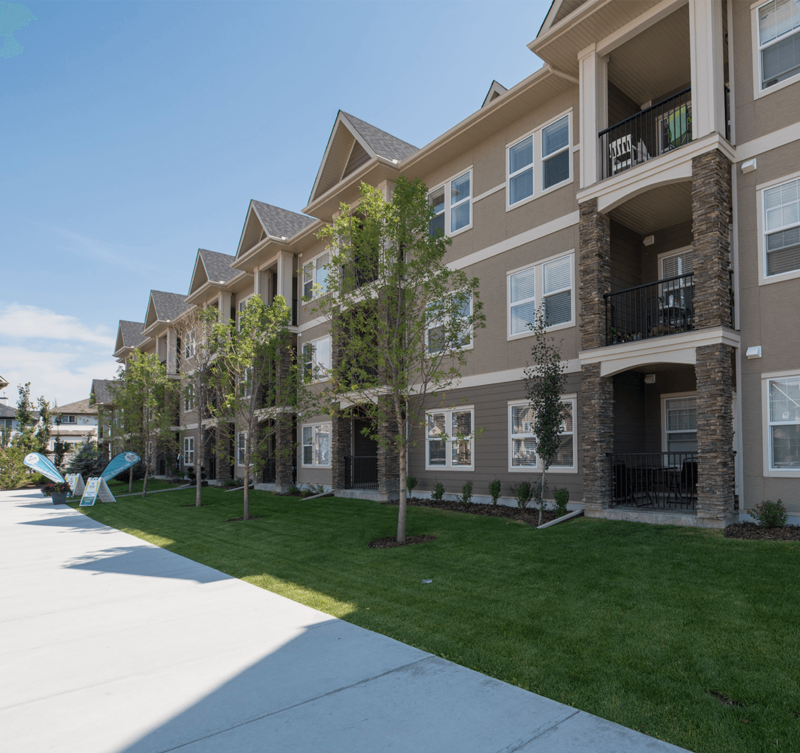 You’re close to the intersection of Stoney Trail and Deerfoot Trail - so you can get to almost any area in Calgary without hassle. It also takes less than 30 minutes to get to downtown or to Okotoks (residents know this is a great shopping destination because it’s not as busy as the shops around Calgary). However, you'll also find most of your favourite stores nearby. Grocery shopping and picking up those little must-have items is never a problem. Life in Cranston is peaceful. You’re close to the Bow River and can ride your bike to Fish Creek Provincial Park. In fact, the development was designed with the idea that people want to spend more time outside. You’ll be able to step onto paved walking trails that take you around green spaces, parks and nature trails. Residents find it’s easy to get a bit of exercise in each day when you live in a community as beautiful as this one. Only a short walk from Origins, Century Hall is the heart of Cranston's Resident's Association and the hub of many community activities. 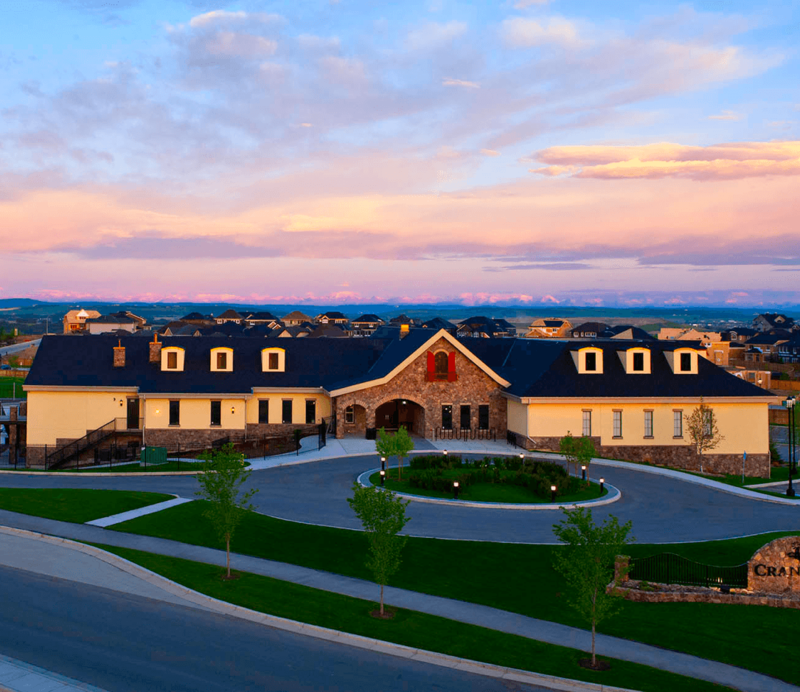 It features gyms, banquet and meeting rooms, a daycare, hockey rink, tennis courts, skate park, splash park and more. 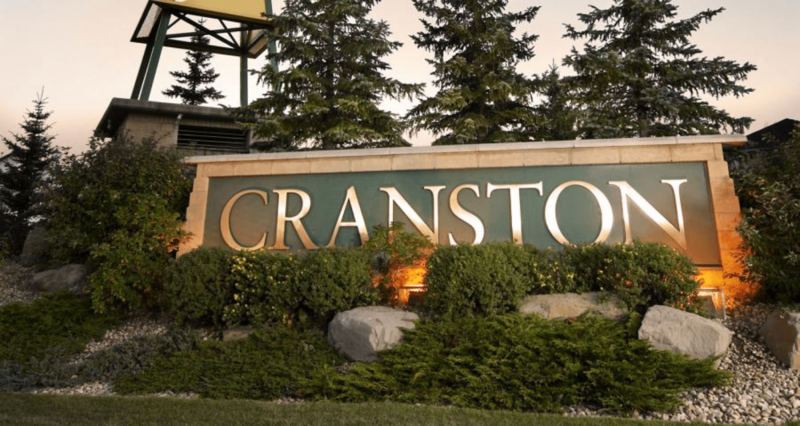 Open to all Cranston residents, it is one of the most popular meeting places in the community. When you purchase a condo with StreetSide, you’ll never feel like you’re settling. Our condos have a spacious feel and the professionally-designed look will appeal to your modern aesthetics. You’ll enjoy 9’ ceilings, an open-concept living area, an eating bar at the kitchen island, an ensuite in the master bedroom and a walk-in pantry in the kitchen. Stainless steel appliances come standard with each condo we sell and we know you’re going to love the full-height tiled backsplash in the kitchen. Each floor plan also includes a balcony. It’s the perfect place to set a few chairs for sipping coffee or wine while looking at the beautiful view. Many people love the advantages of living in a maintenance-free condo. Your condo fees include exterior maintenance like landscaping and snow removal. You won’t have to waste your time with these tedious chores. You’ll also be happy to know neighbours are around to keep an eye on your home when you’re gone. Origins is a safe place to live if you prefer the lock-and-leave lifestyle. Condo living can be ideal for families as well. The two-bedroom Birch floor plan has over 900 square feet of living space, including a very large pantry and storage area. Your kids could meet up with friends at nearby playgrounds and they’ll go to school at one of the nearby schools. Even if you’ve been dreaming about a single-family house, this could be a good choice to start building up some equity. You get to live in a gorgeous home, have affordable payments and save your down payment for a larger home in the future. The most surprising thing about the condos at Origins is just how affordable they are. Prices start at around $240,000. With just a 5 percent down payment, you could be living in your own home for just $35 a day. 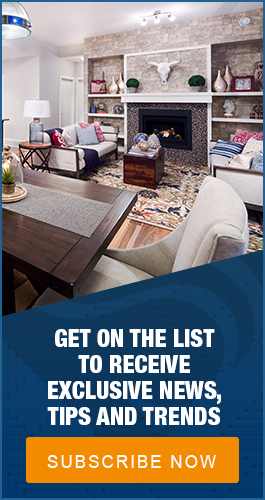 It sounds like a good deal, but after you see how beautiful our brand-new condos look, you’ll realize it’s a great deal. With the perfect location and affordable pricing, people are quickly picking up the condos at Origins. 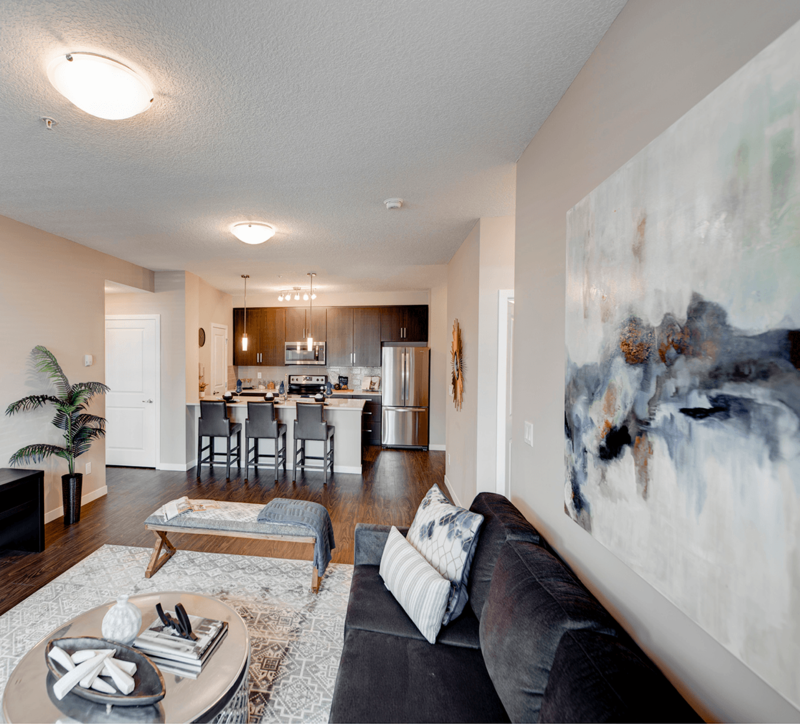 StreetSide has recently opened a Birch show suite model that we know you'll love. Come out to Origins today to see the quality of our work and the beauty of the Cranston development.